In the month of July, four New York City artists will be an integral part of the Summer Art Intensive at The Cooper Union. As they sculpt, paint, build, photograph, think, and dream (and probably write emails and make phone calls) students will gain a sense of the daily practices of working artists—and will see a month’s work realized in the form of a final installation. 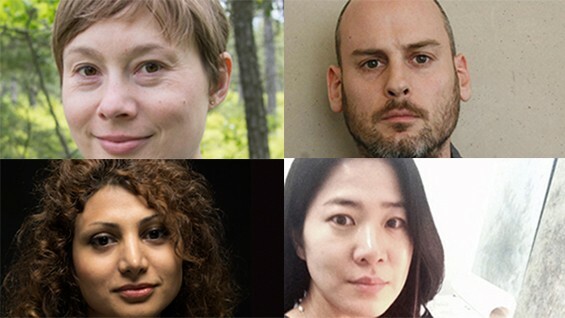 The 2015 Summer Artists in Residence, Natalie Beall, Timothy Hull, Zahra Nazari, and Sung Won Yun, work in different media and engage in varying artistic discourses. Beall extends the language of Minimalism through an evocation of domestic objects; Hull transforms ancient epigraphs (wall and marble carving) into modern signifiers; Nazari draws on urban architecture to construct imagined landscapes; and Yun explores geologic time in paintings, drawings, and photographs. The 2015 Artists in Residence will take part in an exhibition opening August 2nd at The Cooper Union.